A new season seems like a perfect time for me to start blogging about Arsenal. After cruising the interweb and locking into Sky Sports News, I've heard a great many opinions regarding the mighty Gunners and the obvious activity in the transfer market. Now I'm not at stat man, but I am person of measured opinion and perspective. In writing this entry and hoping to somehow unravel the mixed emotions and point the spotlight in the correct direction. Let’s get it out of the way then; Robin van Persie. I'm disappointed and yes I was hoping for a 'u' turn even after his statement. Let us consider his statement for a moment. It was brave and clearly in some twisted way it was his vehicle for expressing why he was leaving. Now I like and applaud transparency. I have been involved in many businesses over the years and secrets etc make for uncomfortable working environments. In business, it is also recommended to get the thoughts of those that work for you. Does the board honestly know what it is like for the players that take to the turf each week? Should they know? Of course, and that should be fed back through Mr Wenger (AW). RVP is an intelligent individual and also club captain. He has every right to open dialogue with AW about how he thinks things can be improved. AW doesn't need to agree, but if there are serious issues that could have a negative impact then AW needs to tackle these with the board. We don't know the nuts and bolts of what RVP’s sentiments were, but he has a right to be heard simply as an employee. Money aside, the players are on the shop floor. If there was a problem with the pitch for example, they would know before anyone else and should communicate this. Same principle applies to other aspects. So those making noise about RVP not having a right to try and influence are wrong. To make for a better working environment we all need to share our ideas. Onto RVPs methods. It still astounds me that with all the resources available to clubs, players, agents etc that content released to the press and public (I refer mostly to digital content) if often so poorly written without regard for the reaction. Some is naivety, but that’s not the case here. If RVP wanted to facilitate some sort of collective charge on the board to 'make changes' then he should been more specific. If he was trying to encourage the purchase of quality players to lighten his burden and improve the quality of the team, then he was successful, so why then leave? It is clear this wasn't his motivation. For my mind he opened up a real hornets nest, rocked the boat can only expect a negative reception from the Arsenal fans despite his contributions. I guess there's never a nice way to leave a club, but RVP (and his Father) has muddied the waters with his mixed messages over the last couple of years and I can't see how anyone is happy about the way he left. He is a top class player who has added real quality every time he pulled on an Arsenal shirt, but his conduct has left me reeling. AW secured as good a price as he could and we have to accept his argument that Man U were the offerers of the best deal for AFC. I can't believe he went to a rival and that AFC sold to a rival, but business is at play too. Some positives then; Giroud, Cazorla, Podolski, Wilshire and the young developing players. So much to look forward to. Due to injuries we should expect a slower start to the campaign, but when all are firing we will be stronger than last season. The chemistry and blend will dictate how successful, but on paper we have improved our options and this is going to be exciting to see. The younger players that have been spending time in the reserves and out on loan will be more complete and should really help bolster a fight for cups and league on all fronts. What's more, the transfer season is still active and there are strong links with several admired players that could firm up our midfield assault and defensive strength. Another player also recently making the back pages is Alex Song. A fantastic, defensive player with great strength and an eye for a killer ball. When AW first introduced him to the 1st team, he was a weak link, but for my liking he has developed into one of the best Premiership defensive midfielders. He has also been decent cover as a centre half when required. I would therefore be upset to see him leave. We don't need the money, but we do need defensive quality and I'm not sure we have that available for the start of the season. It was the poor start last season that led us to play catch-up and I'm sure I'm not alone in wanting to remedy this as it sets in negativity and nerves too early into a campaign. I do however believe he wants to leave. I live close to the AFC training ground and in fact used to pass Song's house everyday. He sold up as soon as the season was over and I was told he went into rented accommodation further from the training ground. Also, if you cast your mind back, his body language and complete lack of gratitude at the last home game of the season suggested his discontent. The fans didn't deserve his mope around the field on his own without his team mates or family. I've been a strong supporter of his but that was poor form. I've no idea why he would want to leave, but if he's replaced then so be it. I'd rather he stayed and showed some love! I believe this coming season will be fruitful. Arsenal Football Club have put together a fantastic infrastructure upon which to build a winning football team- great training facilities, top pitch, amazing ground and secure business. I was hoping that we would have seen success in the last 2 seasons and we have been competitive on all fronts, but have fallen short for a variety of reasons that have sometimes been out of AFC's control. I question the situation with the AFC medical team and why our players seem to suffer so frequently and for extended periods, but injuries are complicated. I stand by AW, his methods and his style. Arsenal play honest football with less theatrics, less help from authorities and better financial foundation. We're never too find behind and I believe the next few seasons will be massive for Arsenal Football Club. 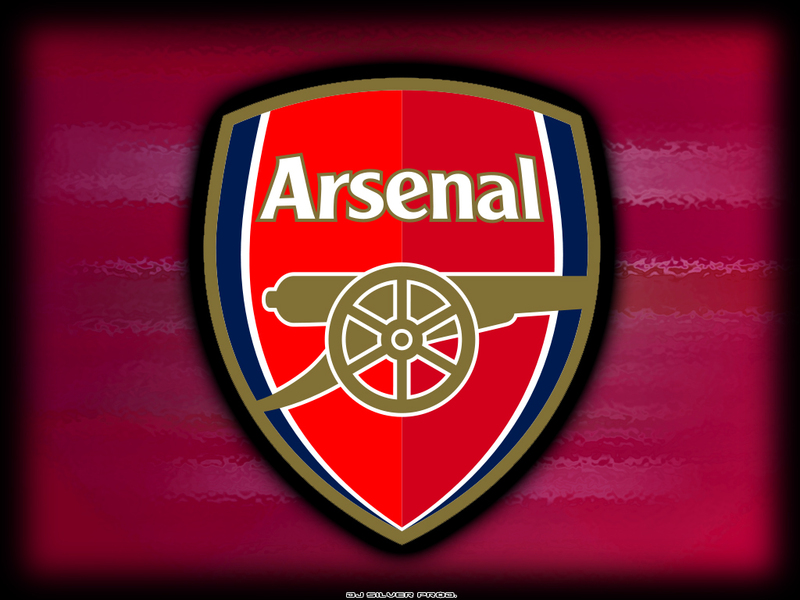 Its good to be a Gooner! Are we too hard on UK MMA?